Be sure to pack your throwing stars and blade before beginning this awesome adventure. 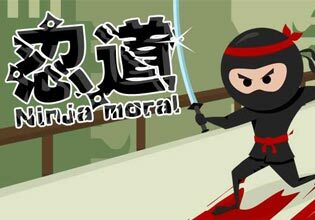 In "Ninja Moral" you will learn what it means to be a real warrior of the night. Fight your way through numerous stages but be aware that you will need Ninja-like reflexes, speed and precision to pass all of them.